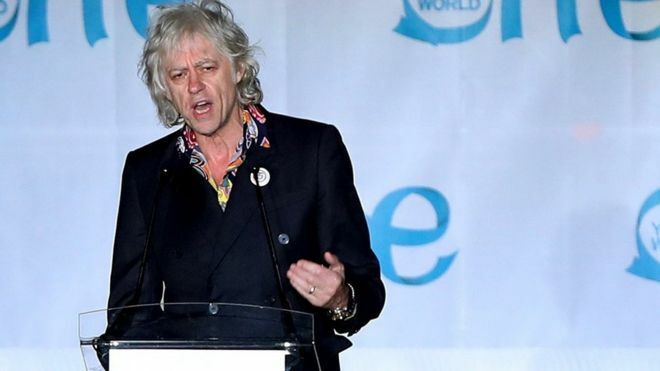 Bob Geldof has said he will return his Freedom of the City of Dublin in protest against the Myanmar leader Aung San Suu Kyi, who also holds the award. Mr Geldof said “her association with our city shames us all”. Ms Suu Kyi has faced heavy criticism over her failure to address allegations of ethnic cleansing against Myanmar’s Rohingya Muslims. More than half a million Rohingya have fled to Bangladesh following recent violence. He said he would hand back the award at City Hall in the Irish capital on Monday morning. 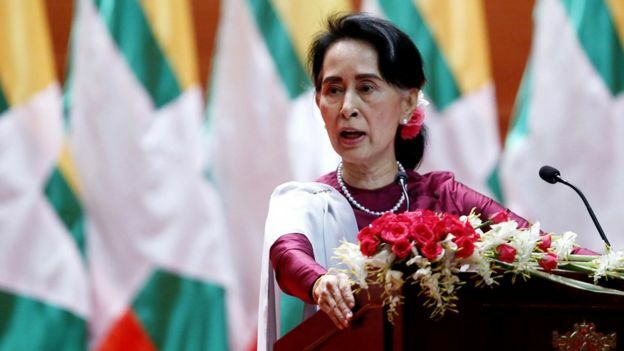 Ms Suu Kyi has been condemned by international leaders and human rights groups over her reluctance to acknowledge the military violence, which the UN has called a “textbook example of ethnic cleansing”. Fellow Irish musicians U2 also criticised Burma’s civilian leader, urging her on Saturday to take a stronger stance against the reported violence by security forces. In a statement on the band’s website, they said her failure to address the crisis was “starting to look a lot like assent”. Last month, Oxford City Council stripped Ms Suu Kyi of the freedom of the city, which she was awarded in 1997. Oxford City Council leader Bob Price acknowledged that it was an “unprecedented step” for the local authority. Rohingya Muslims had to decide what to bring and what to leave. People are “absolutely appalled” by the situation in Myanmar, he said, adding it was “extraordinary” she had not spoken out about reported atrocities in the country. St Hugh’s College at Oxford University, where Ms Suu Kyi read politics, has removed a portrait of her from display. 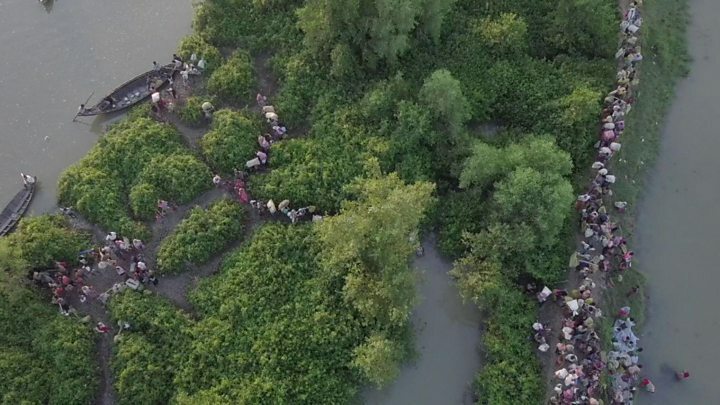 The violence in Rakhine erupted on 25 August when Rohingya militants attacked security posts in Myanmar’s Rakhine state, triggering a military crackdown. Scores of people have been killed in the crackdown and there are widespread allegations of villages being burned and Rohingya being driven out.